In RAGTIME, the musical that earned Audra McDonald her third Tony Award, turn-of-the-century New Yorkers are caught in the spell of a strange ""New Music."" For her debut solo album, WAY BACK TO PARADISE, on the remarkable Nonesuch label, McDonald eschews Broadway and pop standards in favor of new music that shimmers at the close of this century. Represented alongside works from such extraordinary music theater writers as Michael John LaChiusa (HELLO AGAIN) and Jason Robert Brown (PARADE) are compositions by our own Adam Guettel, Ricky Ian Gordon and Lindy Robbins. McDonald's meteoric rise marked by Tony-winning performances in CAROUSEL (1994) and MASTER CLASS (1996) as well as RAGTIME (1998) guaranteed that her debut solo album would be big news, as was her bold devotion to its virtually unknown content. ""Audra is the Muse-apparent of the most promising and accomplished composers of her generation,"" wrote playwright Terrence McNally in the albums liner notes. ""Most singers would play it safe and flood us with standards and impress us with novel interpretations of the same. Not my friend Audra."" 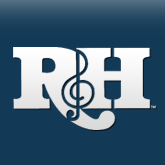 ""I admit it, we take a certain proprietary pride in Audra,"" says R&H President Ted Chapin. ""After all, she tells us her debut, at age nine, was in a local production of THE KING AND I. 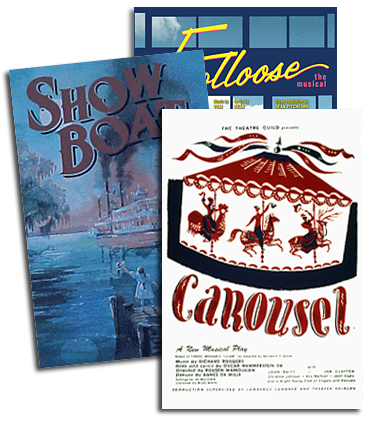 After she graduated from Juilliard [alma mater of Richard Rodgers, whose daughter Mary is currently Chairman of the Board], came CAROUSEL. Nothing could beat Audras first meeting with us, at her final call-back, when she walked in, stood by the piano, and fainted. Quickly recovered, she gave a wonderful audition which lead to an extraordinary performance. It is only fitting,"" concludes Chapin, ""that someone of her unique talent should hook up with the visionary Bob Hurwitz at Nonesuch."" Williamson Music President Maxyne Berman Lang is thrilled that three of our writers are among the select few featured on Audras album. ""Williamson is built on the talents of writers like Rodgers, Hammerstein and Berlin,"" says Lang. ""Their philosophy was to educate and encourage succeeding generations, and that mantra has become our mission. To have an artist of Audra's caliber recognize the importance of new work, and for her to commit to it as passionately and devoutly as she does here, is truly a blessing for her, for our writers, but most of all, for the listener."" Audra McDonald is ""the best thing that's happened to the theater world in years,"" hailed USA Today's David Patrick Stearns as he awarded four stars (out of four) to her album. ""But her disc also opens the door on a new generation of theater composers [who] may be the long-awaited future of Broadway."" Terry Teachout in Time agreed that WAY BACK TO PARADISE ""points to smarter times ahead for the Great White Way."" WAY BACK TO PARADISE, which features guest artists Dawn Upshaw, Adam Guettel (performing his own duet with McDonald), and Theresa McCarthy, is conducted by Eric Stern and produced by Tommy Krasker. Among its collection of 14 songs are four by Ricky Ian Gordon, three by Adam Guettel, and one composed by Guettel with lyrics by Lindy Robbins. Gordon first met McDonald at a benefit in the Spring of 1997, when she performed three selections (""Dream Variations,"" ""Song for a Dark Girl,"" and ""Daybreak in Alabama"") from his song-cycle ONLY HEAVEN. Inspired by McDonald, Gordon expanded ONLY HEAVEN for her, and she appeared in its premiere the following December; the three selections she sang originally are preserved on the album. Guettel first worked with McDonald on the 1996 workshop of his SATURN RETURNS (see Happy Talk; Vol. 5, No. 3), in which they sang ""Come to Jesus""; in addition to recreating that piece on the album, Guettel wrote two songs, ""Baby Moon"" and ""A Tragic Story,"" especially for this recording. Gordon's ""A Lullaby"" and Guettel & Robbins' ""The Allure of Silence"" also receive their first recordings here. Judith Davidson in Newsday said Gordon, ""the most classicizing of the bunch, writes voluptuous tunes and subtly spiced harmonies that edge into art songs,"" and Charles Isherwood of Variety called the ONLY HEAVEN excerpts ""haunting and melodic."" Gordon's ""A Lullaby"" was termed ""a masterpiece"" by Stearns who went on: ""The music's sweet-and-sour harmonies unfold in a huge crescendo, expressing those ideas poetically as only music can. Though Gordon's style is more mellifluous than the others, his music is perhaps the most subtle and reveals the most secrets upon repeated hearings."" Also celebrated: Adam Guettel. Hailed by Stephen Holden of the New York Times as ""a genius,"" Guettel was characterized by Teachout of Time as ""a startlingly original songwriter who...has a straight shot at becoming the next Stephen Sondheim. His expressive range is wide enough to encompass 'The Allure of Silence' [with lyrics by Lindy Robbins], a gentle vignette of unspoken love on a winter evening, and 'Come to Jesus,' a harrowing, near operatic dialogue between a woman about to have an abortion and the devastated lover who has deserted her."" ""It was a courageous, precedent-setting decision to record so much unfamiliar music. Only an artist of Audra's imagination would have dreamed or dared so much. Her debut album is a commitment to music, not another ego-trip. When you have come to know these songs, I am confident you will feel, as I already do, in Audra's debt. The pleasure of these emerging composers' company is enormous."" WAY BACK TO PARADISE is currently available from Nonesuch Records at all major record stores or by calling 1-800-75-MUSIC...Ricky Ian Gordon's ONLY HEAVEN and two other songbook folios, GENIUS CHILD and A HORSE WITH WINGS, are published through Hal Leonard; a folio of songs by Adam Guettel is being prepared...For more information on our songwriters visit www.williamsonmusic.com.